Born Charles Burn and raised at Balmoral Co. Down, of parents from Co. Wicklow. He worked in a grocery at Beersbridge Rd., Ballymacarret. He had a lasting friendship with Joe Devlin, then manager of Kelly’s Cellars in Bank St. 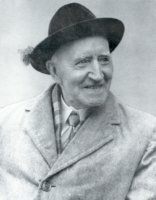 He joined the Gaelic League in Belfast, and associated with Francis Bigger of Ard Righ and with Alice Milligan, Ethna Carbery and Roger Casement. He engaged as singer and storyteller. His works included A Jug of Punch and Christmas Wayfarers (both 1900); issued with Cahir Healy The Lane of the Thrushes: Some Ulster Love Songs (Dublin 1905)and contributed to Padric Gregory’s Modern Anglo-Irish Verse (1914). He contributed to Ireland’s Saturday Night as columnist-author of Mrs. Twigglet’s Weekly Letter. He wrote plays, The Cherry Bough, The Returned Swank, as well as The Burthen which was performed in Belfast. He was stage-manager of Ulster Theatre and acted in Gerald MacNamara’s Thompson in Tir na nÓg. 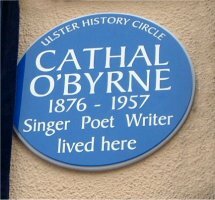 He travelled to America in 1921 working as a freelance journalist and singer of Irish material and opened bookshop there. 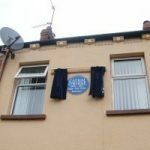 He raised £100,000 through White Cross, resulting in the rebuilding of Amcomri St., Belfast, in the 1920s. 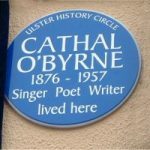 He returned to Ireland in 1929 having lost savings intended to fund a bookshop in Dublin and settled with a sister at 43, Cavendish St., Belfast. 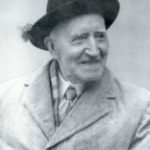 He wrote a column in the Irish News devoted to Belfast and environs which were later collected as As I Roved Out (1946), a frequently-quoted source of literary and historical information. He issued Pilgrim in Italy (1930) reflecting his experience as a devout Catholic, incl. an interview with the Pope; issued The Gaelic Source of the Brontë Genius (1933) and From Far Green Hills (1935), a collection of stories of persons in the New Testament; issued The Ashes on the Hearth (1949), stories about historical figures. 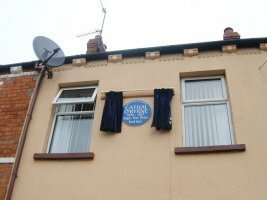 Having spent three year’s in Nazareth House, Ormeau Rd., Belfast he suffered stroke a month before his death on 1 August 1957. He is buried in Milltown Cemetary.